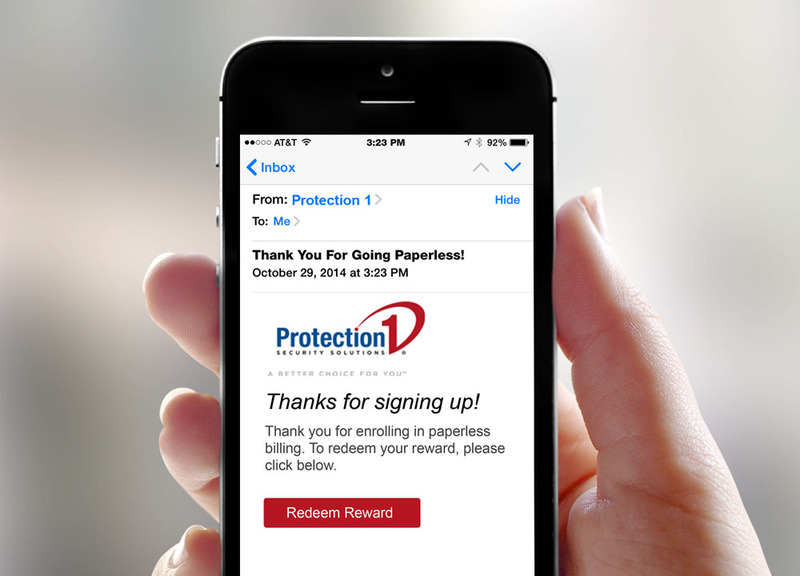 Protection 1 needed a simple, cost-effective solution to increase Auto-Pay conversions. Their existing incentive of a complimentary month of service cost the company up to $50 in lost revenue per conversion. With eBillingRewards, Protection 1 easily offered two valuable incentives to customers. 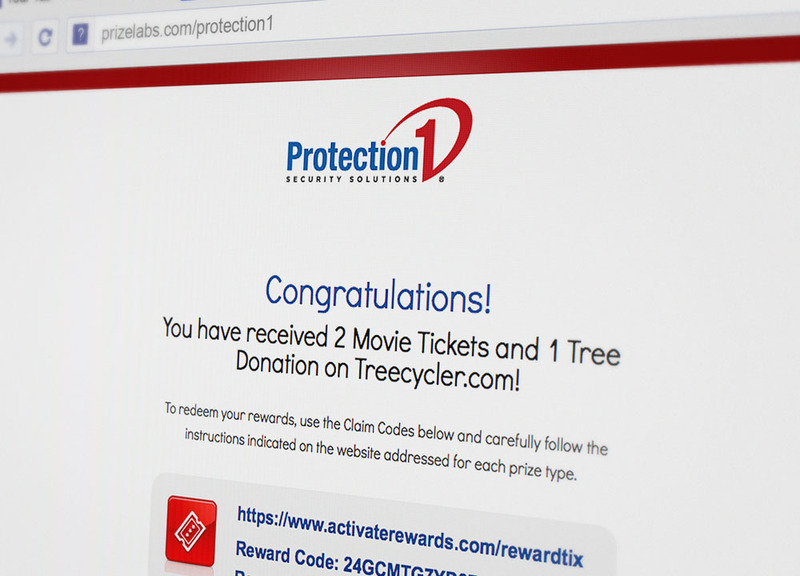 At just $14 per conversion, residential customers received two movie tickets and a Treecycler code to plant a tree online. Commercial customers received two movie tickets and a business-themed magazine subscription, costing just $20 per conversion. These rewards were delivered for far less than their perceived value and well below the cost of Protection 1's previous efforts. With eBillingRewards, Protection 1 enjoyed significant savings and could extend their offer to twice as many customers.